Chitra Banerjee Divakaruni, an Indian best selling novelist, has penned an evocative and timeless tale of one of the greatest love story that our Indian mythology has ever given to us in the form of Ramayana in her new book, The Forest of Enchantments. 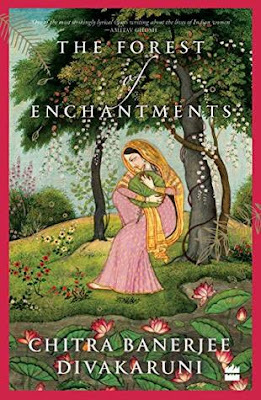 But its not a retelling of our favorite mythology on Lord Ram, rather its told and primarily focuses on the life and time of Lord Ram's wife, Sita who is not just a Goddess who we all worship to, but a fateful woman with a heart full of only love and kindness journeying through a path of thorns till her death. 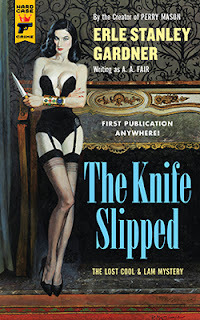 Erle Stanley Gardner, an American lawyer and author, writing under the pen name of A.A. Fair for his sassy detective series, Cool and Lam. 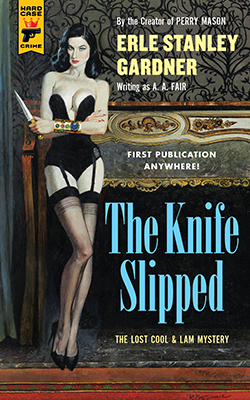 A hidden gem have been discovered after almost a decade with Gardner's book called, The Knife Slipped which was never published due to scandalous story line that revolves around two detective duo, one being the sassiest queen of her investigation agency and the other being her part time detective whom she loved to dominate with her orders, who find themselves muddled in a cheating man's deadly lies and his fateful murder.